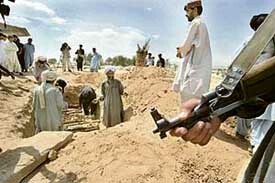 Pakistan’s combined Opposition observed “a successful black day” in various parts of the country on Friday, even as the army buried the body of slain Baluch leader Akbar Khan Bugti at his ancestral Dera Bugti cemetery amidst tight security and complete secrecy. Yet another Indian has faced the western paranoia about aircraft security, this time not on account of “suspicious behaviour” but because of “suspicious” checked-in baggage. There may be more than what meets the eye in the case pertaining to the removal of Lt Gen Deepak Summanwar from the post of Director-General Military Intelligence (DGMI) last month. The crisis in the Congress-PDP coalition continued for the second consecutive day today with the Chief Minister Ghulam Nabi Azad impressing upon Muzaffar Hussain Beig not to resign from the Cabinet. I still feel I am good enough and that’s the way it is. There must be something wrong which has kept me out. An Iranian airliner caught fire on landing in the northeastern city of Mashhad today, killing at least 80 passengers, state television reported. Raising the pitch of its rhetoric against Iran, the Bush Administration has said while the military option against Tehran stayed open, the USA could also pursue economic sanctions beyond what the UN Security Council may determine. and the UN General Assembly. The Punjab Government has changed the pattern of releasing 95 per cent grant to aided schools to pay salaries to teaching and non-teaching staff. There are about 480 aided schools with a staff strength of 10,000 in Punjab.